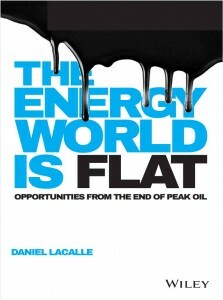 DANIEL LACALLE: Nervousness is palpable ahead of the next OPEC meeting in Vienna. The cut in production agreed with some countries such as Russia has been an absolute failure. Not only OPEC has failed to raise the price of oil, but the market share of their main producing countries has been reduced. If anyone would have told Saudi Arabia that the deal would push the price of oil to its lowest level in six months, increase its main rival’s market share, and strengthen the fracking industry in the US, they would not have believed it. And that is exactly what has happened. No one can say I did not warn them. Iran expects to increase production capacity by 3 million barrels a day according to the Shana news agency and official sources. Iraq remains at record levels, exporting 3.2 million barrels per day. In the United States, shale alone has boosted production to 5.2 million barrels a day in May, 700,000 more than at the end of 2016. Between the increase in output of Iran, Iraq and the United States, they cover almost all of the cut agreed. Iranian and Iraqi barrels are of the highest quality and very low cost, while US production costs have been brutally reduced. BP, in its earnings presentation, commented that its production in deep waters in the Gulf of Mexico can compete without problems with a shale production that already has a break-even price of c$45 a barrel. Thanks to efficiency and cost reduction, production in the Gulf of Mexico has also skyrocketed, bringing total US production to 9.3 million barrels per day, the highest level since 2015. The OPEC cut has been the biggest gift to independent producers who have improved efficiency. It has allowed them to generate better returns at low prices, and increase market share. Meanwhile, Saudi Arabia is the only country that has exceeded its commitment – as always – and delivers the biggest cut of all. The price of oil is suffering because production is increasingly diversified and, as such, the geopolitical premium we attach to crude prices disappears and the ability to control prices of OPEC diminishes. Not only that, but inventories are at a five-year high, and have increased in the US by 10% since the OPEC cut, 30% above the average of the last five years. • To think that the reduction of investments will generate a boom in prices in the medium term. Not only is capex growing at an annualized 8%, but they forget that the “reduction” came after a spending bubble in the easy money decade that led to a huge productive overcapacity of close to 30%. Investments in exploration and production multiplied in ten years to more than $1.2 trillion per annum, fueled by inflated commodity prices – in dollars – due to monetary policy and estimates of science fiction-style Chinese growth, with no fundamental justification and based on bubble expectations. Today, those massive investments have become sunk costs and work just to generate cash. What we call “energy broadband” in The Energy World Is Flat (Wiley). • Ignoring efficiency and technological substitution, which are unstoppable and withdraw each year, according to the IEA, up to 2 million barrels a day of potential demand. Many think that OPEC cuts will work as demand grows. Let us not forget that, as soon as the demand begins to work better -and it is not bad- OPEC will start to “cheat” on those cuts, as it has always done, since there are no individual quotas and, when there are, many ignore them . To give you an idea, the average “cheat” in OPEC cuts since 1980 is between 450 and 800,000 barrels a day. • The lower the price, the more efficient the system. Global service companies have shown in their results this quarter that they can lower prices by 40-45% and still make money and grow. OPEC strategy has backfired. But it can get worse. If consumer nations continue to perceive that the cartel is not a reliable, flexible and efficient supplier, and that its aim is to raise prices at any cost, the policies to reduce energy dependence will accelerate, just as solar and wind are becoming more competitive and electric vehicles are a reality. OPEC does not have a cost or profitability problem. All countries are making very positive returns at $45-50 a barrel. Those that are not making money is because they have massive cross-subsidies and political spending, not high production and development costs.